Manufactured in Russia with current-production steel cases. 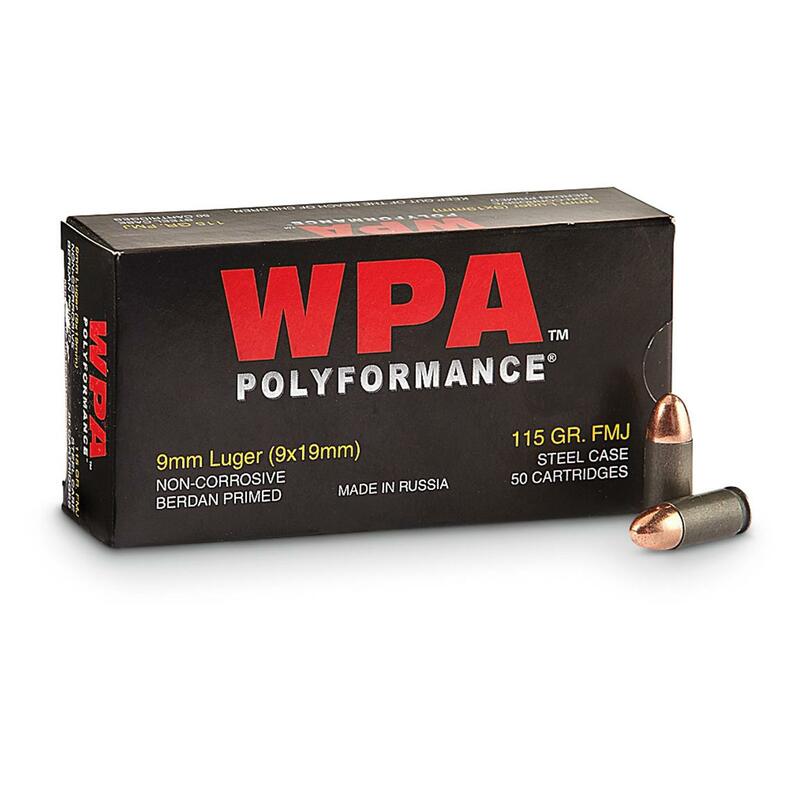 Wolf WPA Polyformance, 9mm, FMJ, 115 Grain, 250 Rounds is rated 4.6 out of 5 by 56. Rated 5 out of 5 by East Coast Charlie from Affordable Choice for Practice Shooting. I have used WPA in both 9MM Luger and .380ACP for several years now (as practice ammo) and have really been pleased with the performance. The only down side I notice is it shoots a little dirtier than some other brands, Winchester White Box for example. But only a little and I really can't call this dirty shooting ammo. I just ran a little over 200 rounds in a brand new M&P Shield for break in and before cleaning the weapon I ran 20 rounds of Federal Personal Defense HP's, all 115GR.Zero malfunctions with both ammo's. I have also run this with the same results in a couple Gloocks and a couple Rugers. In .380 it ran perfect in my old Keltec and my current Ruger LCP. A note on the Keltec, it was real finicky when it came to ammo and it often had failure to feed with some of the lower priced ammo. But not with the WPA. That is the main reason I sold that weapon and purchased the LCP I read one review where the person said he was having failure to fire in his H&K. With all the rounds I have fired in multiple brands, I would have my H&K (which is a fine weapon) looked at. On the other hand, the primers in these steel rounds are not boxer and are harder. That may be the reason but again, never a problem for me. Another reviewer stated he was having failure to feed problems. He did not specify the weapon he was using. Again, this has not been a problem for me. All in all I have shot several thousand of these rounds and just ordered more. Rated 5 out of 5 by Lance Unibager from Best deal you can find! I have used this ammunition for years in multiple firearms without fail; purchasing in 9mm for my new Glock 26 proved to be no different. If you are looking for a great deal on ammunition - BUY IT NOW! 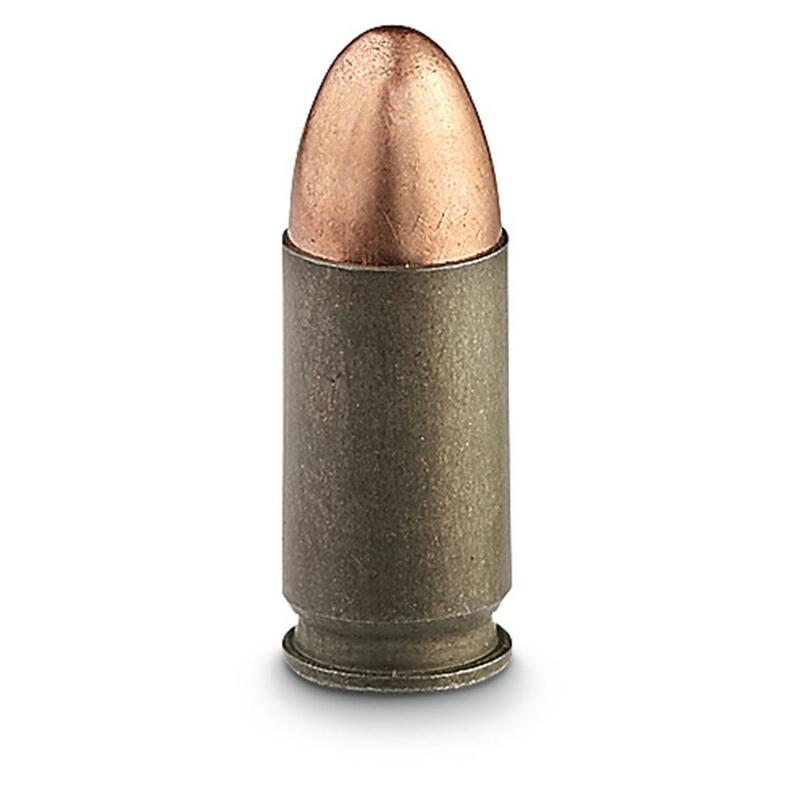 Rated 3 out of 5 by RACER441 from GREAT AMMO AT CHEAP PRICE THE AMMO SHOOTS FINE, HOWEVER MOST RANGES WILL NOT ALLOW U TO USE IT BECAUSE THEY CANT COLLECT IT FOR RELOADS, SO IT IS ONLY GOOD FOR OUTDOOR SHOOTING. WHICH IT DOES FINE AT.